Even today, artificial dyes are subject to some of the most bizarre fears and nastiest urban legends. Blame Red Dye No. 2. In the 1970s, Soviet scientists claimed a link between the dye  used in everything from sausage casings and ice cream to makeup  and cancer, and U.S. tests proved some correlation as well. Though it was never linked to any deaths or illnesses, the substance was banned from U.S. shelves in 1976. 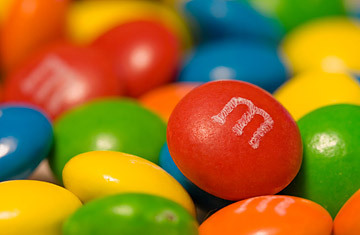 Consumer worries were enough to get the Mars candy company to pull red M&Ms from their lineup of colors, even though they never contained any Red Dye No. 2 to begin with. It would take 10 years for the collective panic to fade  and for the M&M spectrum to be complete. Read an article from TIME's archives about the death of Red Dye No. 2.